The construction site should be maintained in such way that minimum moisture variation is occurred by providing sufficient drainage to improve runoff of rainwater which facilitates to reduce subsequent differential settlement. Well drained site provides a dry working conditions producing firm surface. • To arrest swell pressure of soil generated due to wetting for long period. It is recommended to complete site preparation before wet season. Soil preparation is a continuous process until site is protected by foundation to reduce ill effect of wetting and drying cycle due to seasonal variation. Sometimes lime with or without cement mixed with surface soil improve trafficability of problematic soil. During clearing site, removal of vegetation and trees is often leave depressions. Such depressions, trenches and holes are often filled with soil compacted at natural moisture content to reach density of in-situ natural soil and graded to initial level of ground. Cutting of soil, if required, is kept minimum as it reduces overburden pressure on soil underneath over the cut area, cutting also reduces pore water pressure of the soil. When soil underneath is of cohesive type (i.e. less permeable), it takes considerable time to reach an equilibrium condition consistent with surrounding soil. Long-term time dependent heave and rebound, as a consequence, may occur which may aggravate differential settlement over several years. Roads, facilities or other neighbor properties in vicinity to excavation site must be checked prior commencing excavation. Slopes are usually supported by horizontal or inclined braces against sheet pile, any types of piles, drilled shafts, with reinforcement or by anchoring ground. Excavations work should be finished to desired depth as early as possible. The exposed soil should be protected from wetting-drying cycle. A concrete layer may be provided to protect final cut level; as an alternative 10-mil thick polyethylene sheet can be used. Sometimes some type of coatings is used but if they are sticky should be avoided. During and after excavation, seepage of underground water or rainfall may produce ponding which may seep through underlain soil and may reduce shear strength. In this regard, pumping may be required to drain out properly this water. Excavation boundary should be selected carefully to place and remove formwork after concreting. The dewatering system and provision for placing utility should be considered during excavation. Excavation depth may be exceeded desired depth only when unexpected materials have to be replaced by fill of desired property and depth. But optimum excavation is very important as it increase cost of excavation work together with cost of drainage and protection of slope. The fill materials should have low plasticity but should be of cohesive nature. They are compacted to achieve desired density to provide adequate bearing capacity. Usually collapsible soils, expansive soils or soils having low bearing capacity are replaced by desired fill of designed density. Generally when filling depth exceeds 8 ft., the feasibility of shallow foundation like column footing or combined footing have to be checked. Fill materials are also placed around foundation perimeter as pavement, ramp, water or septic tank etc. may be required to place fully or partially on perimeter filling. The expected fill materials are sand and gravel having less percentage of fine particles. Organic, peat, silts having high plasticity or silty sands are usually unaccepted as fill materials. In case of construction of ribs for raft foundation, it is required to provide trenches, cohesive properties of fill materials facilitate us to minimize requirement of formwork. Such trenches also required for different utility lines. The most important thing is that it reduces seepage of water from surface to underneath stratum. Seepage into relatively impervious stratum may lead to raise in water table which may result long-term differential settlement, if soil underneath is of collapsible or expansive type. Now regarding compaction effort, the usual expectation for cohesive materials is not less than 90% of their optimum density (as per ASTM D1557). A uniform depth of each layer is required to ensure uniform fill in horizontal direction which offer minimum differential settlement of mat foundation. In next post we will discuss in details sequence of excavation of excavation and fill placement. The cohesive granular materials used as fill facilitates to make trenches for stiffening beams. Trenches machine usually capable to provide minimum width of 12” and maximum depth of 3’ below grade. To accommodate reinforcing steel for the beams, a least width of 18” is considered enough. Moisture may enter into or come out from concrete; there have two recipient when moisture flow out of concrete, one is soil underneath and other is environment prevails above concrete surface. Either in or out from concrete both are detrimental for concrete. So we provide a barrier, here named as vapor barrier. In most case, it is plastic film placed beneath slabs and in the trenches, if any. This film acts as barrier against accumulation of sweating moisture into concrete which may reach surface of finished floor through concrete. A typical example is-when a highly permeable fills is used over impervious soils. Due to weight of fill and concrete ground water will accumulate in the fill. Again plastic films prevent moisture loss from concrete into underlying fill or soil. We now about drying shrinkage and consequence of this; water loss will yield drying shrinkage. When this happens to mat foundation, its surface may curl upward at the joints or edges. The stiffening beam discussed above are provided at the perimeter and joints, if any, to arrest this curling. Vapor barriers must be placed closely against walls of trenches to avoid gaps between membrane and walls. This will help to keep correct dimension and shape of stiffening beams to resist desired bending moments. Incorrect placement of vapor barriers should be corrected or removed to have designed dimension of such beams. Plastic films used in this purposes should be free from holes, punctures or any other leaks. As moment, shear capacity of section of mat foundation depend on effective depth. Proper concrete cover will define perfect effective depth. Thus location of steel reinforcement is very important and probable congestion should be checked carefully near column strip. Though congestion and spacing of steel bars should be checked in detailing of mat sections, but many practical situations may be solved during placing. As column loads have to be transferred to mat foundation, the dowels must have to be extended up to development length in compression loading. Thus further congestion is expected together with close spacing of bars of mat to meet bending moment requirements. Mostly grade 60 (60 ksi) bars are used and 40 grade bars only may be used as ties. Now-a-days higher strength steels are used which reduce steel consumption and also decrease possible congestion. When post-tensioning concrete is concerned, it requires tendons and anchors, again location is very important; they should be properly supported and to strengthen concrete near support of anchors, there should have additional steel. An expert supervision and careful controlling over post-tensioning is required to transfer stress at right time and right location. Lateral freedom is required for column while post-tensioning and it should be developed as soon as concrete attain its desired strength. In such construction, often very thick section of mat foundation is required to pour; considering congestion and reinforcement and distance between two layers of steel reinforcement (top and bottom layers), the workability is very important. 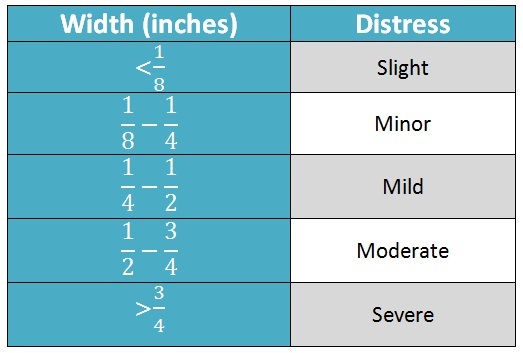 According to Corps of Engineers Guide Specification (CEGS 03300), the slump of such concrete should be 4~6 inches and at the delivery end or during hauling (in case of ready mixed concrete), additional water should not be mixed with concrete to achieve desired workability. Shrinkage is important issue for a deep section and to reduce this water reducing admixtures or cement having low water demand (like Type -I) may be used with selection of coarse aggregate which don’t shrink upon drying. Now regarding strength, correct composition have to be ensured to ensure desired strength; the usual strength is 3000 psi (at 28 days), but depending of structural requirements strength may be changed by designer. Water reducing admixture conforming ASTM C 494 (Standard Specification for Chemical Admixture for Concrete) may be used to maintain same slump with less water demand which ensure increase in strength of concrete. CEGS 03300 didn’t recommend to use superplasticizers or high-range water reducers. When plinth area of structure is very large, it is found often the construction as well pouring of concrete is done by parts; while concreting one portion, excavation, filling or preparation of bearing surface on the other portions are going on. If mats have large rib, concrete may be poured in two stages, it is very fine to place in single stage, if not possible, at first stiffening beams may be poured with concrete and rest portion is poured few days later. The exposed surface at the top of stiffening beams should remain or be cleaned before pouring fresh concrete over it to have proper adhesion. Before leaving concrete surface for service (say permitting traffic when pavement or when basement as parking zone), should be cured properly and after sufficient curing only forms may be removed. The term flatness means how bumpy finish surface of concrete floor. It is measured by quantifying difference between elevations (d) between some points on floor. The points are on a straight line one foot apart. q is the difference between adjacent values of d. The statistical approach (mean & standard deviation) are used over q to determine FF. The term levelness means inclination of concrete floor relative to design inclination of it which may sometimes not horizontal. Inclined floor is required to direct water to flow to designed direction. In case of road construction, it has additional use like to counteract centrifugal force on vehicle at sharp turning and to ensure safety in driving. Same procedure is used to measure levelness as that for flatness. But the difference (z) between elevations of two adjacent points is measure 10 feet apart. Statistical approach is applied over z data to measure levelness (FL). Utility connections set up to outside facilities should be water-tight and flexible. Low permeable and non-expansive backfill materials are selected to prevent migration of moisture from surface to underneath soil having swelling potential. Fill placed on natural ground surface to raise structure contributes to positive grading to drain out water from structure and decrease differential movements often seen in non-uniform soils due to volume change. The site grading depends on underneath soils, neither expansive or not. For expansive foundation soils to enhance rapid runoff of water from surface a 5% slope is recommended up to a distance at least 10’ from perimeter of respective structures. But if soil is not susceptible to volume change i.e. of non-expansive type, a reduction of up to 1% slope may be used. Structure should have provision of gutters & downspouts to pick up rainfall. Water of downspouts is usually redirected to 5’ apart (known as splash blocks) and then drained through slope of positive grade out of structure. Impervious moisture barriers like membranes can be placed up to 10’ distance from perimeters. This Horizontal barrier are then protected by fill of 6” thick. This helps to maintain uniform change in moisture under mat. Though some moisture can penetrate horizontally from edges but positive grade diminish this tendency. At the end of rainy season, such barrier should be placed. When perforated drains are used within excavation fills near mat to receive seepage, the slope should be 1% to prevent ponding in drain lines. The collected water through drains is then removed from an outlet interconnected to drains. Drains must be underlain by impervious membrane to reduce seepage from drain into surrounding dry subsoil. But in case of collapsible or expansive subsoils, underground drains are not suitable as it may enhance differential movements. Though this step is discussed at the last of construction sequences, follow up have to be done during and after construction. Periodic evaluation of performance of structure should be done. The grade surrounding foundation perimeter should be inspected for expected slope. A change in slope may imitate or enhance erosion. 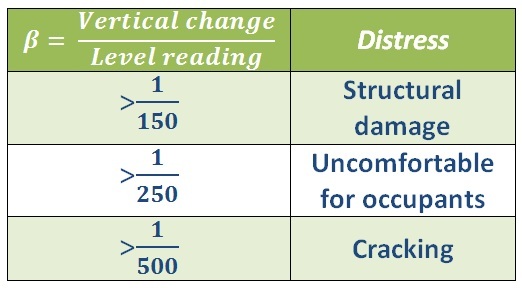 Now we will discuss about defining settlement type of raft/mat foundation depending on movement or cracks appeared on components of foundation and some part of structure. When foundation soil heave at center it is defined as center-mound. In case of settlement at center or heave at the edges, the condition is defined as center dish. • Horizontal cracks in vicinity of top of walls restraint at roof indicates center mound i.e. heave at center. • Larger and more frequent vertical cracking near top indicates center mound. • Vertical cracks near bottom (propagate from bottom) indicates center dish i.e. settlement occur at center. • Cracks radiate upward to interior means center dish. Cracks in slab parallel to wall (large near top surface) means center mound. • Bulging of exterior wall outward means center mound. 1. Near edge of such facility, settlement is at center occurred. 2. Near center of facility, settlement means center mound.